Christmas is coming! We know here at Indigo Sky know that mentioning Christmas too early can bring the wrath of the reindeers upon us. 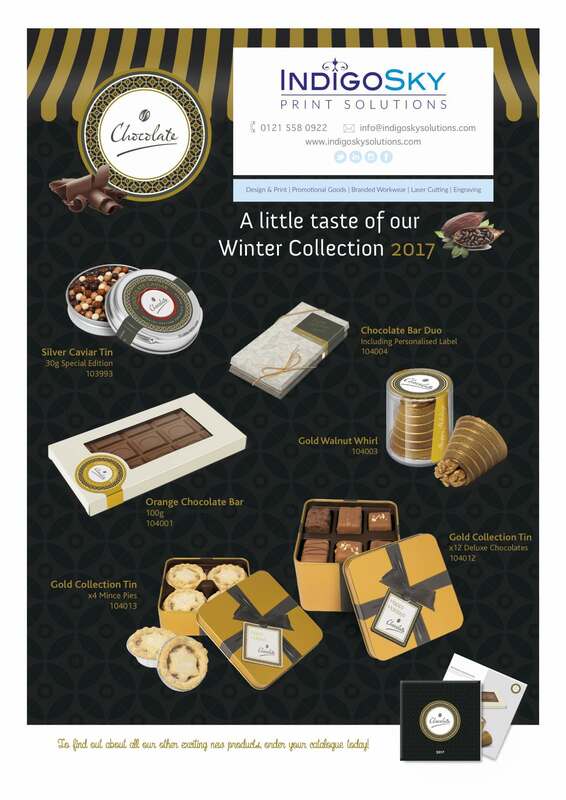 However, if you want to surprise and delight your clients and customers this Christmas you’ll need to order your gifts very soon! To help you along the way we’ve created a delicious range of brandable chocolate gifts from some of the UK’s ﬁnest master chocolatiers. All of the luxurious gifts in our range are beautifully packaged with a level of personalisation and design that goes far beyond a regular Christmas card.